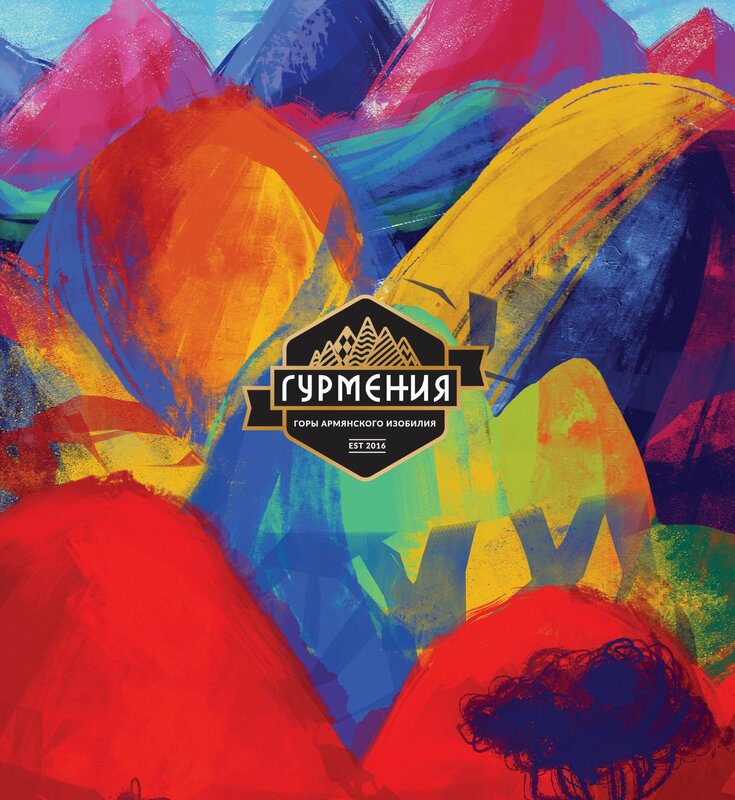 As an upmarket brand, "Gurmenia" products are being limited output in special package, which you can not only enjoy yourself but also use as an exclusive present. Ingredients: sturgeon, salt, water, black pepper. Ingredients: sturgeon, salt, tomato sauce. Ingredients: rainbow trout, salt, water, black pepper. Ingredients: rainbow trout, salt, tomato sauce. Ingredients: cisco, salt, water, ground black pepper. Ingredients: cisco, tomato sauce, salt, spices. Ingredients: sturgeon, red cabbage, potato, fredh tomato, green olives, green parsley, tomato paste, seed-oil, lemon juice, water, salt. Ingredients: rainbow trout, red cabbage, potato, fredh tomato, green olives, green parsley, tomato paste, seed-oil, lemon juice, water, salt. Ingredients: rainbow trout, potato, carrot, green dill, green parsley, green pepper, bunching onion, bulb onion, black pepper, bay leaf, seed-oil, salt, water. Ingredients: sturgeon, potato, carrot, green dill, green parsley, green pepper, bunching onion, bulb onion, black pepper, bay leaf, seed-oil, salt, water. Ingredients: sturgeon, bean, fresh pepper, carrot, fresh tomato, olive oil, parsley, dill, basil, garlic, ground black pepper, salt, water. Ingredients: sturgeon, bean, rice, sweet green pepper, red pepper, carrot, tomato sauce, water. Ingredients: sturgeon, swiss brown mushrooms, fresh pepper, carrot, fresh tomato, rice, olive oil, seed-oil, parsley, dill, garlic, ground black pepper, salt, water. Ingredients: sturgeon, swiss brown mushrooms, fresh pepper, carrot, tomato sauce, salt, spices. Ingredients: sturgeon, green peas, bean, corn, fresh pepper, carrot, fresh tomato, olive oil, parsley, dill, basil, garlic, ground black pepper, salt, water. Ingredients: sturgeon, green peas, bean, corn, fresh pepper, carrot, fresh tomato, salt, spices. Ingredients: sturgeon, fresh pepper, fresh tomato, egg-plant, rice, bulb onion, tomato paste, vine leaves, coriander, dill, basil, garlic, ground black pepper, salt, water. Ingredients: sturgeon, rice, powdered rice, carrot, red pepper, bulb onion, tomato paste, vine leaves, coriander, dill, basil, garlic, ground black pepper, salt, water. Ingredients: sturgeon liver, salt, water. 100 g contains: proteins — 18 g, fats—12 g.
Caloric content — 167 kcal (698 kJ). Term of storage: 24 months at a temperature of 0°C to +25°C. Opened jar — at a temperature of 0°C to +5°C no more than for one month. 100 g capacity: proteins — 18 g, fats—14 g.
Caloric content — 176 kcal (736 kJ). 100 g contains: proteins — 21 g, fats—8 g.
Caloric content — 142 kcal (594 kJ). 100 g contains: proteins — 21 g, fats—12 g.
Caloric content — 158 kcal (660 kJ). 100 g contains: proteins — 17.5 g, fats—2 g.
Caloric content — 88 kcal (368 kJ). 100 g contains: proteins — 14.3 g, fats—8.3 g, carbonhydrates — 5.8 g.
Calorific capacity — 115 kcal (480 kJ). 100 g contains: proteins — 2.8 g, fats—4.6 g, carbonhydrates — 2.3 g.
Caloric content — 62 kcal (259 kJ). 100 g contains: proteins — 2.9 g, fats—3.3 g, carbonhydrates — 2.3 g.
Caloric content — 51 kcal (213 kJ). 100 g contains: proteins — 1.6 g, fats—0.2 g, carbonhydrates — 1.69 g.
Caloric content — 15.31 kcal (64 kJ). 100 g contains: proteins — 7.3 g, fats—3.5 g, carbonhydrates — 6.4 g.
Calorific capacity — 87 kcal (364 kJ). 100 g contains: proteins — 7.3 g, fats—3.5 g, carbonhydrates — 6.5 g.
Calorific capacity — 91 kcal (380 kJ). 100 g contains: proteins — 6.7 g, fats—3.9 g, carbonhydrates — 4.2 g.
Calorific capacity — 79.9 kcal (334 kJ). 100 g contains: proteins — 6.7 g, fats—3.9 g, carbonhydrates — 4.5 g.
Calorific capacity — 83.9 kcal (351 kJ). 100 g contains: proteins — 7.5 g, fats—3.7 g, carbonhydrates — 7.2 g.
Calorific capacity — 90 kcal (376 kJ). 100 g contains: proteins — 7.5 g, fats—3.7 g, carbonhydrates — 7.5 g.
Calorific capacity — 94 kcal (393 kJ). 100 g contains: proteins — 4.6 g, fats—2.7 g, carbonhydrates — 5 g.
Calorific capacity — 62 kcal (260 kJ). 100 g contains: proteins — 6.1 g, fats—3.7 g, carbonhydrates — 3.3 g.
Calorific capacity — 71 kcal (297 kJ). 100 g contains: proteins — 4.2 g, fats—65.7 g, carbonhydrates — 1.2 g.
Calorific capacity — 613 kcal (2565 kJ). Ingredients: apple-quince, caster sugar, citric acid-acidity regulator, water. Ingredients: green walnut, caster sugar, citric acid-acidity regulator, spices, water. Ingredients: fig, caster sugar, citric acid-acidity regulator, water. Ingredients: wild cherry, caster sugar, citric acid-acidity regulator, water. Ingredients: apricot, caster sugar, citric acid-acidity regulator, water. Ingredients: peach, caster sugar, citric acid-acidity regulator, water. Ingredients: cornelian cherry, caster sugar, citric acid-acidity regulator, water. Ingredients: apple-quince, caster sugar, citric acid-acidityregulator, water. Nutrition facts per 100g: proteins — 0.27g, carbohydrates — 62g, caloric content — 251 kcal (1049 kJ). Term of storage: 24 months from the production date at a temperature of 0°C to +25°C. Opened jar can be kept at the refrigerator at a temperature of 0°C to +5°C no more than for one month. Weight content of fruits no less than 40%. Ingredients: green walnut, caster sugar, citric acid-acidityregulator, spices, water. Nutrition facts per 100g: proteins — 1.2g, carbohydrates — 62g, caloric content — 256 kcal (1072 kJ). Nutrition facts per 100g: proteins — 0.36g, carbohydrates — 62g, caloric content — 254 kcal (1060 kJ). Nutrition facts per 100g: proteins — 0.5g, carbohydrates — 62g, caloric content — 252 kcal (1052 kJ). Nutrition facts per 100g: proteins — 0.5g, carbohydrates — 62g, caloric content — 251 kcal (1048 kJ). Nutrition facts per 100g: proteins — 0.5g, carbohydrates — 62g, caloric content — 250 kcal (1045 kJ). Ingredients: fresh fig, caster sugar, citric acid-acidity regulator. Ingredients: fresh apricot, caster sugar, citric acid-acidity regulator. Ingredients: fresh plum,caster sugar, citric acid-acidity regulator. Ingredients: fresh peach, caster sugar, citric acid-acidity regulator. Nutrition facts per 100g: proteins—65g, caloric content—260 kcal/kJ. Term of storage: 24 months from the production date at a temperature of 0°C to+25°C.